Your indoor air quality plays a big part in determining the health of your family. When the air you breathe is contaminated, the buildup of poisonous and harmful substances in your body can make you and your loved ones sick. The new year is just around the corner, which means it’s time to start thinking about what resolutions you plan to make to have a happy and healthy 2018. Though home comfort might not come to mind at first, it’s important to consider how you will make your home a healthier, cleaner, and all-around more comfortable environment for you and your family. Read on to find out how you can include home comfort in your 2018 New Year’s resolutions. 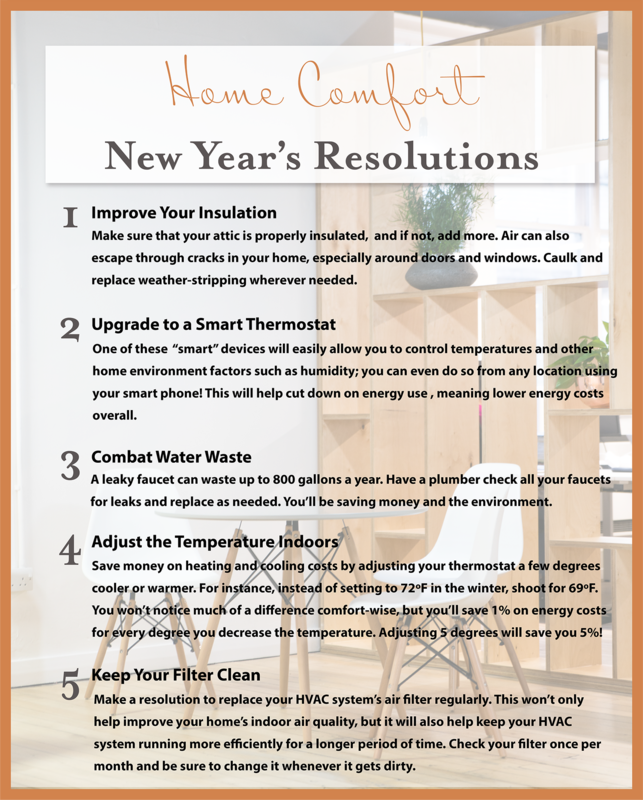 If you’re ready to kick your home comfort level up a notch in the new year, you’ve come to the right place. Reliable Air Conditioning & Heating is proud help North Hollywood homeowners stay comfortable year-round. From annual HVAC tune-ups to heater and AC repair, we make sure that all of our customers are taken care of, no matter what the season. We also offer indoor air quality services that can help you improve the quality of your indoor air so that you and your family can breathe easier. If you are interested in IAQ products and how they can help improve your home comfort, contact an IAQ specialist today for more information. Call: (818) 423-4285.